When is the best time to take a photograph? In what light should the building be seen? Should it be seen in its ‘best light’? If so, what is this light and more pertinently, what is it best for? Best for showing off the building, or for showing off the photograph, or for showing something else? 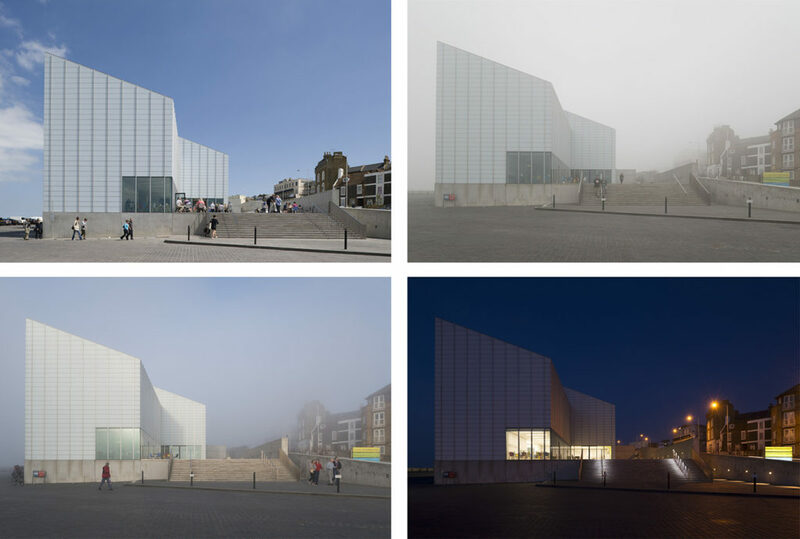 The first image in the set below shows The Turner Contemporary Margate on a sunny day, blue sky sunlight coming from the ‘right’ direction would be a typical approach to photographing a building. But what if the weather is not like that in Margate, should the building still be photographed? Sunlight and blue sky show us one thing, one condition, other conditions will reveal other things. What should a photograph show? What aspect of the building will it explain and how will the light help to explain it? 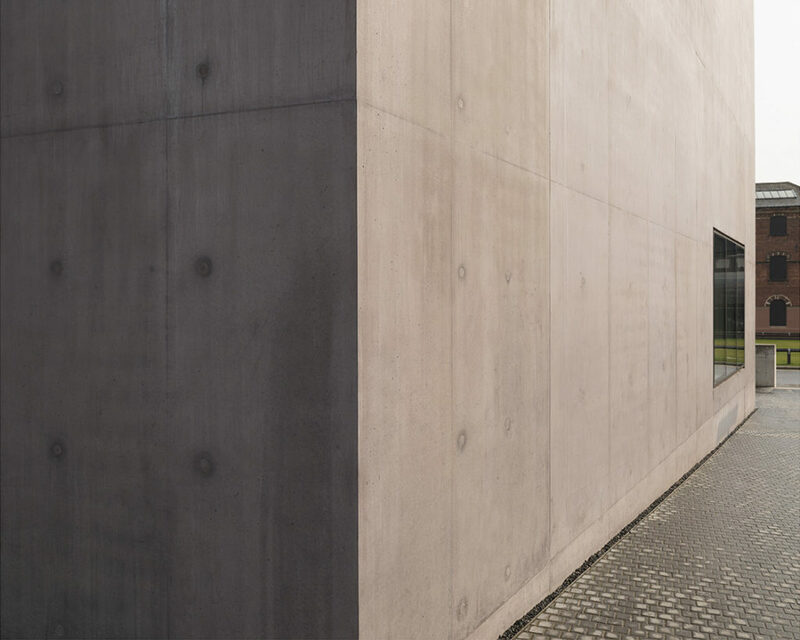 In the below photograph we can see how the sunlight is ‘bringing out’ the colour of the cast concrete facade. But then overcast conditions will ‘bring out’ another shade, rain will soak the concrete and the appearance of the building will shift again. 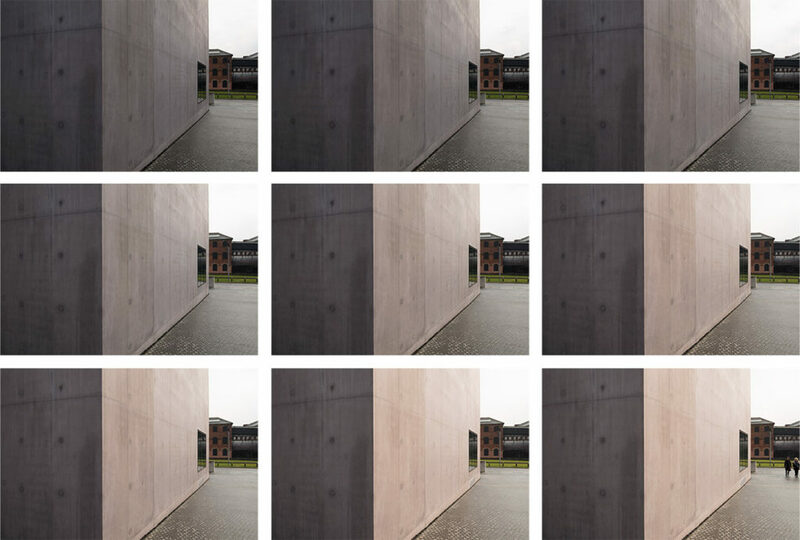 Grey concrete can appear blue, golden, pink or aubergine in endless variation. This can happen minute by minute changes as the below image sequence shows. So which one do we show? Which is best? Or do we need all of them to make the point that far from being harsh, dull, grey or blank a concrete building can actually respond with subtlety and a whole range of colours and effects to the ambient light conditions. What colour is this building actually? Taking this further means looking for longer; hours not minutes. How will a building’s appearance change over the course of a day? What is the day to night transition and what can this tell us about the materials, the location, the building’s function? Of course some things only become visible at night. Assuming that the project is there all year round would it be of interest to photograph it all year round as well? 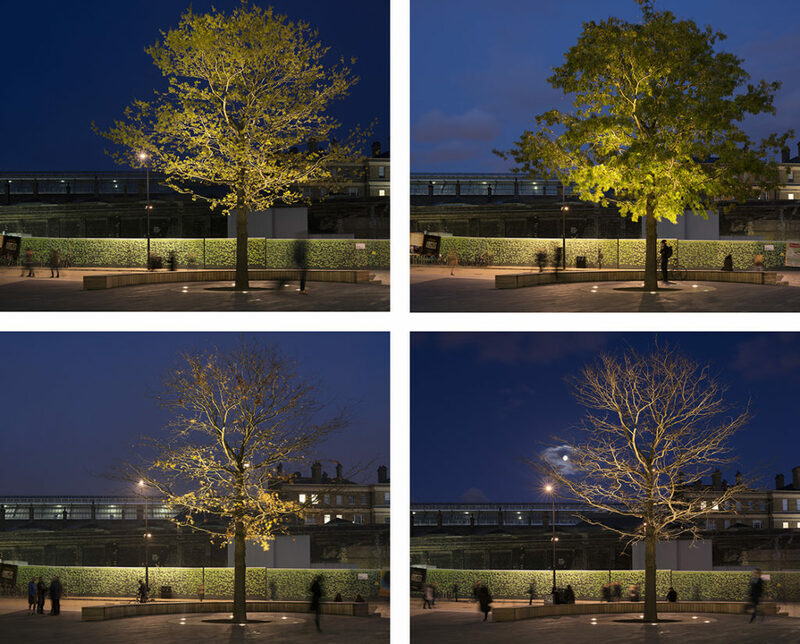 Even the simple act of uplighting a tree will illustrate seasonal variation. Expand this across a whole area of landscaping and the effect will be fundamental to the feel of the space. Added to this is how the use of the space will change across the seasons, how many people will be using the space, how long will they stay there. The very function of a space may change depending upon the time of year. As they will tell you in the Lake District, there is no such thing as bad weather, just inappropriate clothing. So similarly when it comes to photography, there is no such thing as bad light, just inappropriate looking. Nichi nichi kore konichi (Every day is a good day) or, all days are equal. All light conditions are equal, equal in that they are there to be seen, equal in that they can show us something, so it is not a question of how something should be seen, but of how we are looking.